Answering Muslims: Where Are ISIS Supporters Tweeting From? 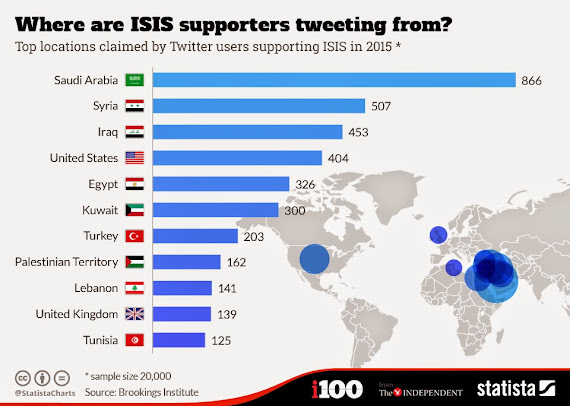 The Independent has compiled some statistics on where ISIS supporters are tweeting from. 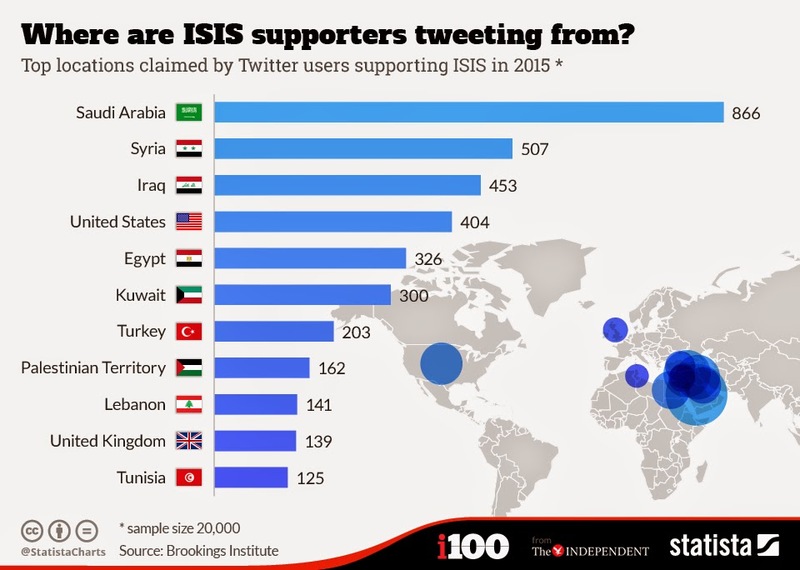 Saudi Arabia ranks first with the most ISIS-supporting tweeters. The United States ranks fourth. 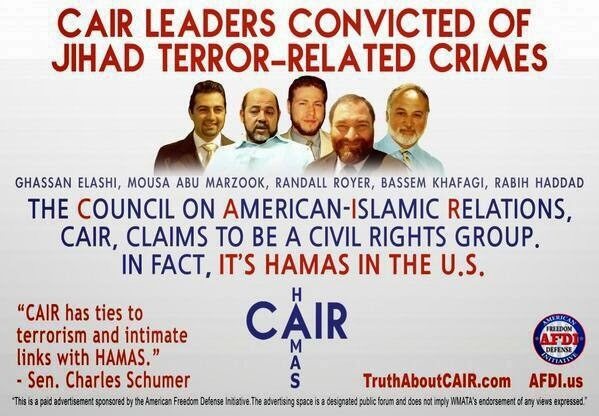 This means that there are many Muslims who support ISIS right here in the U.S. Yet we still can't have a discussion about Islam without being called "racists," "bigots," and "Islamophobes." This is quite revealing. Surprised, and concerned by the U.S. figures. To be fair the stats reflects unburdened internet access, freedom of speech and the affluence of the average Moslem in America relative to the rest of the Umma. The stats are disturbing but no less so than America's representatives in the House and Senate rolling over when the government's official stance that the Fort Hood shootings were an act of workplace violence. A morally bankrupt culture is an incubator for spirits of the Antichrist. 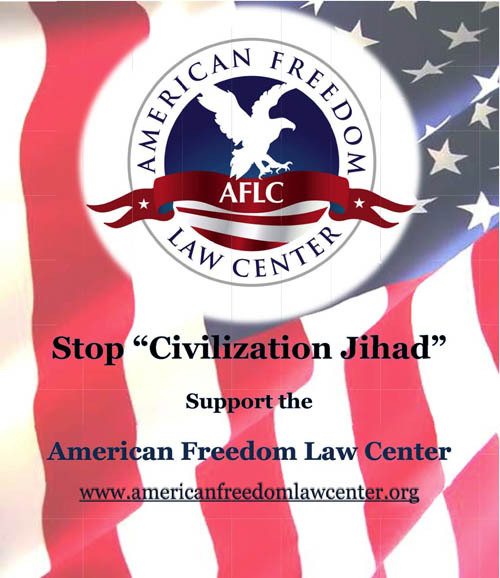 Wow, ol 'Merica is the land of the Tawid and home of the Sharia. Disappointing. 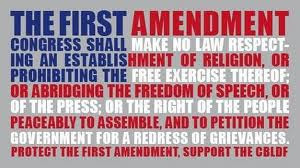 I wonder whether loving Muslims as equal to other citizen of America but hating Quran for hating us as non-Muslims falls under Islamophobia, bigots, racists? I agree that this is a dire concern, but it should be noted that you can't compare the figures for each country without considering the population numbers of each country, as well as the factors that Bill Moser suggested. Without a comparison of countries, however, the point is still valid that this is an issue that should raise alarm bells. An interesting note: Inndonesia and India, the first and second having largest Muslim populated countries in the world are not among the list of 10. Where are their place? Why US and UK come among the list? 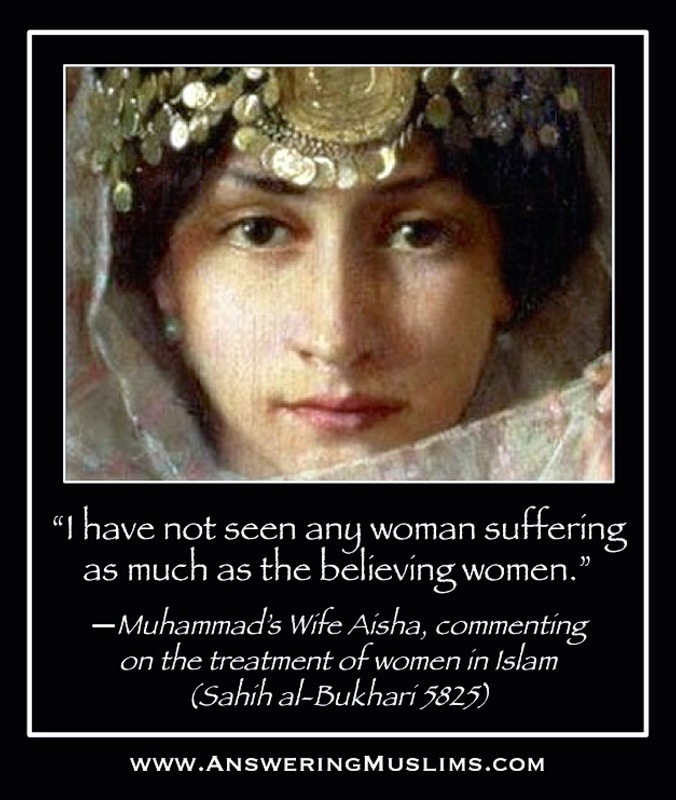 I think the western people (as well as the government) do not have enough vigil in this regard. The persons like Anjem Choudhary are free birds in these countries. Any tweets from Obama, Kerry, Hil. Clinton among the american tweets?